Picture: fontenews.it. 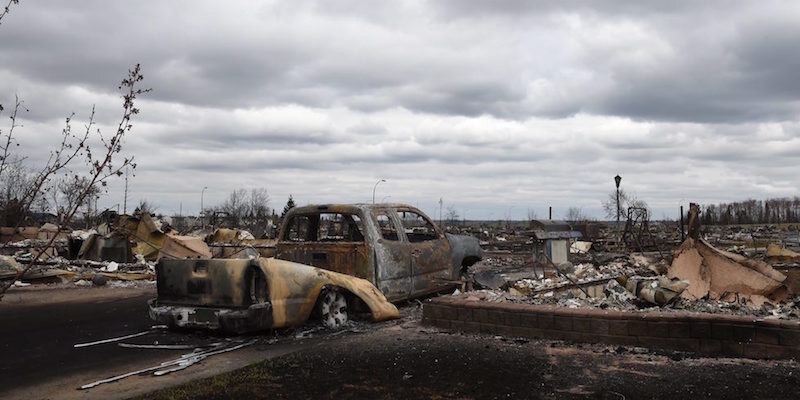 More information: https://www.thestar.com/news/fort-mcmurray.html. Lord, today we continue to pray for those forced by wildfire to evacuate from Fort McMurray and surrounding communities in Alberta, Canada. Thank you that the wildfire is no longer a serious threat to these communities. Thank you that over 100,000 residents were evacuated safely, with only two deaths in a car accident during the evacuation process (though we grieve for these families). 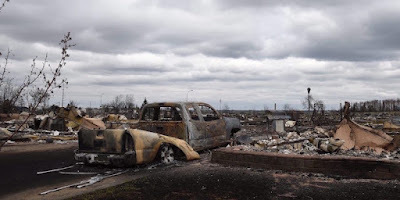 Thank you for protecting firefighters, for the generous giving toward the Red Cross, and for people and organizations, ranging from the oil sands work camps to Covenant Bay Bible Camp, providing housing to evacuees. Lord, please give both the federal and provincial governments wisdom and funds as they manage this immense disaster. Continue to guide firefighters as they manage and stop the wildfire. Help the authorities as they seek to verify that the infrastructure is stable enough before beginning the process of returning evacuees to their homes. We pray for the process of rebuilding that which was lost, and for healing from the trauma of this experience. Glorify yourself in the midst of this trial. We pray in Jesus’ name, amen.